Last Updated: July 9, 2018 | 17:01 ISTThe Indian Railways has decided to launch a train service that will cover all locations that are linked to the famous Hindu epic Ramayana – a journey that will start from a visit to Ayodhya, the birthplace of Hindu god Ram, and end at Colombo in Sri Lanka, where Sita was held captive by Ravan. Religious tourism can be a boon not only for the tourism industry but for other industries associated with it too. Keeping this in mind, the Indian Railways has decided to launch a train service that will cover all locations that are linked to the famous Hindu epic Ramayana – a journey that will start from a visit to Ayodhya, the birthplace of Hindu god Ram, and end at Colombo in Sri Lanka, where Sita was held captive by Ravan. With this initiative, the Indian Railways aim to cash in on a huge demand for religious tourism in the country. The train, which will be called Sri Ramayana Express, would travel from Ayodhya to Colombo via Rameshwaram, an HT report said. The special train intends to cover all those places that have religious relevance to people, especially Hindus. The report says Sri Ramayana Express would take total 16 days to cover the Ramayana circuit that includes all the religious places. The first 800-seater train under the service would start its journey from November 14. Those who want to cover the last leg of the religious journey would have to opt for a flight from Chennai to Colombo. The journey within India, which will cover all religious destinations from Ayodhya to Rameshwaram, would cost around Rs 15,120 per person. The amount would also cover major expenses of your religious journey, including onboard train meals, night stays, changing and washroom facilities at dharamshalas. Officials of the Railways catering and ticketing arm IRCTC (Indian Railway Catering and Tourism Corporation) said that the IRCTC officials would assist people during their travel journey. The train would start from Safdarjung station in Delhi for its first destination Ayodhya where people will visit Hanuman Garhi, Ramkot and the Kanak Bhawan Temple. Other major stations to be covered during the journey are Nandigram, Sitamarhi, Janakpur, Varanasi, Prayag, Shringaverpur, Chitrakoot, Nasik, Hampi and Rameshwaram. The railways said it would provide bus service from railway station to religious destination. For those wishing to complete the last leg of their travel will start from Rameshwaram to Chennai by train, from where they will fly to the Sri Lankan capital. In Sri Lanka, people will visit Ramboda, Nuwara Elliya and Chilaw. 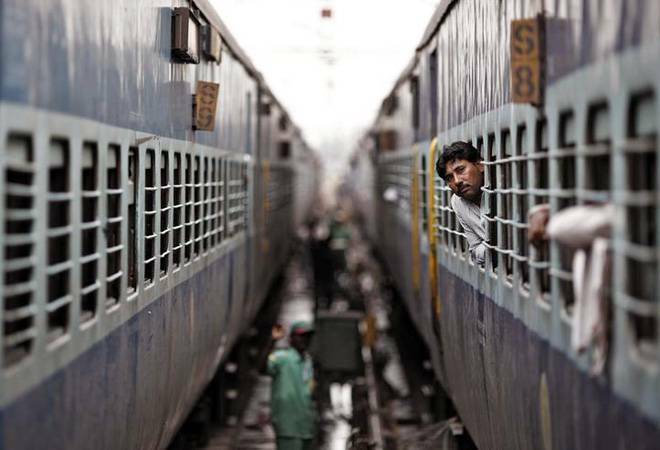 An official said the Railways is expecting to earn good revenue from the new trains service. And depending upon the response, the authorities would decide whether the train would travel once or twice a year.